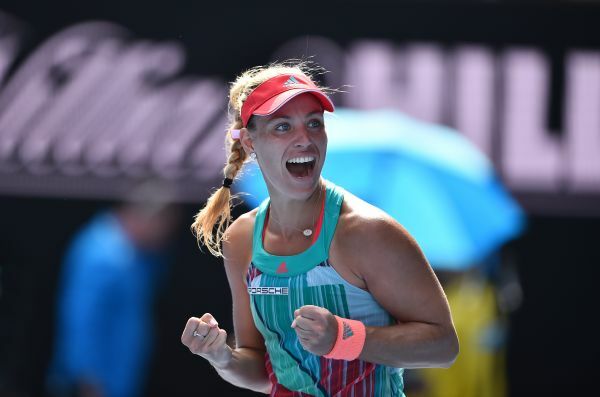 A dream has come true for Angelique Kerber at the Australian Open in Melbourne – the Porsche Brand Ambassador and Porsche Team Germany player has reached the final of a Grand Slam tournament for the first time after a hard-fought 7-5, 6-2 semi-final win against the Briton Johanna Konta. Her opponent in the Rod Laver Arena in Melbourne on Saturday is the world number one Serena Williams (USA). Playing in her third Grand Slam semi-final after the US Open (2011) and Wimbledon (2012), the number seven seeded German got off to a whirlwind start on Thursday against Johanna Konta – the first Briton to reach the semi-finals of the Australian Open for 39 years. She immediately broke her unseeded opponent’s twice. However after racing into a 3-0 lead, Angelique Kerber suddenly lost her way. It was only when the 2015 Porsche Tennis Grand Prix winner was in real danger of losing the first set at 5-4 down that her customary strong game returned. There was now no letting up and she went on to comfortably wrap up the biggest success of her career. The last German winner of the Australian Open was Steffi Graf in 1994.